A beautiful, very tasty combination of flavors, only the wine notes should come along a bit more decent. He also seems to be relatively young, the alcohol is not quite set, I also had the brief impression, there would have been some metal. But that does not really stop him, he stays appealing. Berry fruity with lots of white wine right after pouring, the alcohol tickles something in the nose. Over time, the winy something goes back and darker sweetness comes up, burned caramel, nutmeg and strawberry yoghurt. The alcohol bites quite a bit, but it is much more fruity and sweet, strawberry jam crêpe and a wine sauce, a lot of (fruit) acid, almost like raspberry vinegar. Ah, a little time fuse, it starts buttery soft and then really gas, dark chocolate he comes, chocolate and caramel right at the front with distinctly tart notes, continues to dry backwards and is still chocolatier. Chocolate ginger sticks? In the finish, the sweetness goes relatively quickly, while the tannins remain a while on the tongue, while it warms nicely. Overall, the departure is rather short. At the second sip you think you have just had a plum in Madeira marzipan in your mouth. "Prickly notes of spiced marmalade merged into blood orange sprinkled with brown sugar and accompanied by vanilla pods. 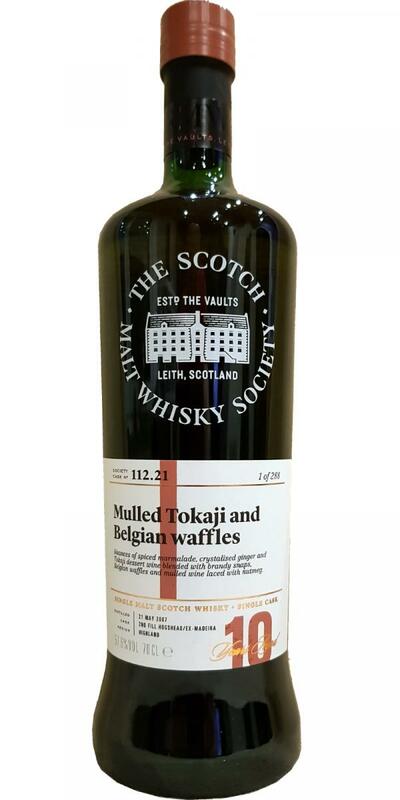 A strong Tokaji dessert wine aroma provided a lifted exuberance that sweetly kissed brandy snaps and Belgium waffles. 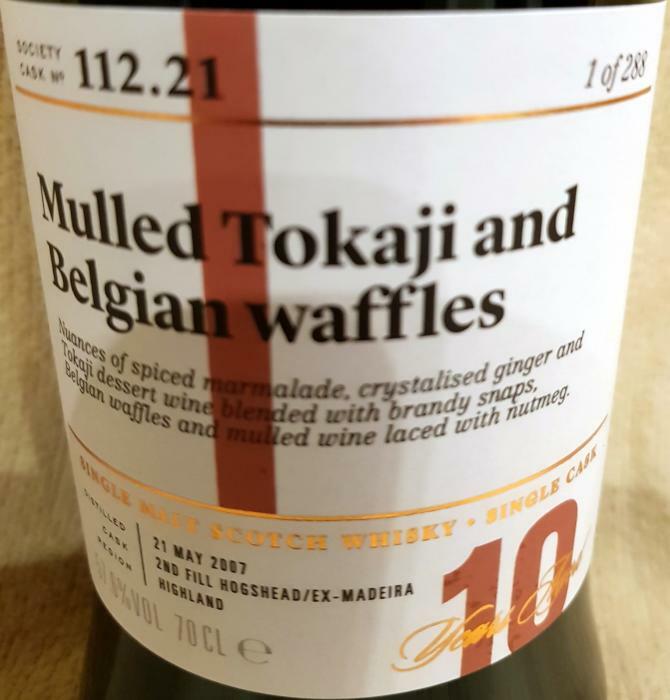 The palate was thick and viscous combining burnt molasses with the fruity appeal of baked apples and perfumed layers alongside crystalised ginger. Spiciness continued with rye bread and nutmeg, passing through mulled wine and settling on a salty twang. The finish encapsulated chocolate orange with burnt toffee served on an oak cask stave."